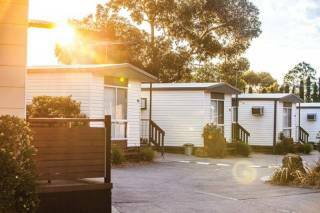 Accommodation in the Melbourne, VIC region. Book holiday houses and apartments for rent or browse towns for accommodation. 231 properties found in this region. Showing 1-120 out of 307 places found in this region. VILLANDRY Melbourne Includes LINEN & TOWELS for all guests. Only 23km from MELBOURNE CBD. PROVIDES EXCELLENT ACCOMMODATION SOLUTION FOR LARGE GROUPS TRAVELLING TOGETHER OR CORPORATE STAYS, FIVE HOMES ON SAME STREET. CLIVEDEN MANOR Melbourne - Extended Stays Only, Ideal for Corporate Bookings or "In Between Houses"
Large 6 BEDROOM Private House in GREENVALE Melbourne. Very spacious, perfect for large families or extended business stays offering total privacy. An abundance of space complete with amazing Melbourne city views. GREAT DISCOUNTS FOR EXTENDED STAYS! LALOR TERRACE is a modern 4 bedroom fully furnished house featuring open plan lounge/dining rooms with a large screen TV, DVD player & iPod docking system. The house is very spacious making it well suited for couples, families and business stays. 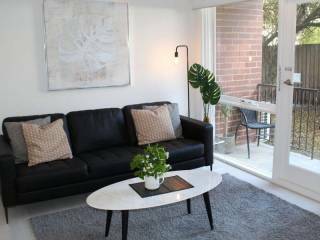 Airport Tourist Village Melbourne is an attractive, modern park with excellent facilities which is located a 5-minute drive from Direct Factory Outlets, and a 10-minute drive from Tullamarine Domestic & International Airport. Free WIFI & Free Onsite Parking. Surrounded by shops & cafe's. Newly renovated rooms with LED TV's. 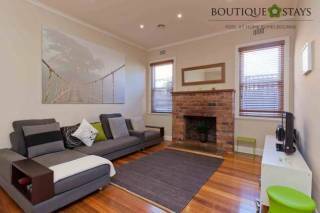 15 Min from the Melbourne CBD & to the Melbourne Airport. Moreland Train station & Tram 19, Tram 8 stops at the door step. Box Hill Unit 2 offers fully self contained accommodation in a well appointed 2 bedroom unit. 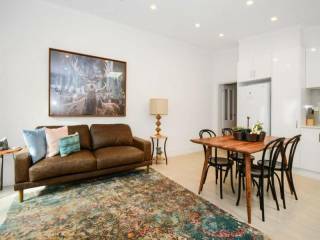 Recently Renovated luxurious apartment in the Heart of Heidelberg. 2 Bedrooms , 1 Bathroom with bath, Fully equipped kitchen , huge flatscreen TV outdoor area to sit. Walk to Hospitals, shops restaurants. Displaying 1-20 of 231 results.